Jim Vermeer is an artist based in Humboldt, Iowa. The artist writes, "I started working with glass approximately ten years ago and worked mostly in the torch (lampworking). After a couple of years creating beads, marbles, and sculptures, I started experimenting with kiln formed glass and immediately became hooked. Soon after, my wife Julie started to create kiln formed glass pieces as well and nearly eight years later, we both create kiln formed glass and each of us has our own style. However, we do collaborate on commissioned pieces from time to time. 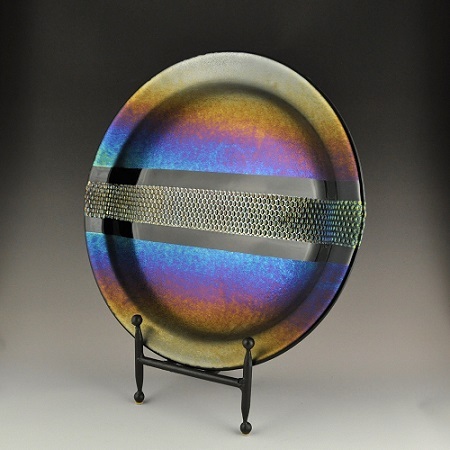 We are partners in Vermeer Glass Art and show at several juried art shows annually."